For the past month or two, I’ve been following the news on the Ebola outbreak on TV, in the newspapers, across the Internet, and even on the radio. 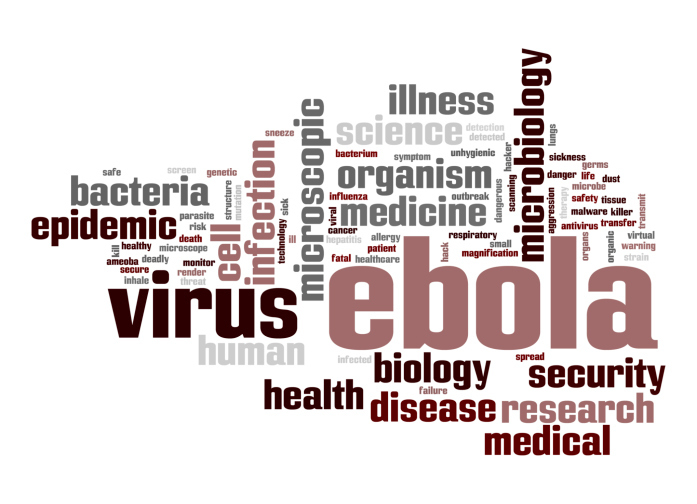 Currently, the outbreak is concentrated in the West African countries of Guinea, Sierra Leone, and Liberia. Recent news stories have also documented the transfer of some Americans infected with the disease; they have been flown home to the U.S. and are being treated in Atlanta. The World Health Organization (WHO) recently declared the outbreak an international health emergency, which has instilled some fear in people here at home. This reaction is only natural; it is a scary thing to consider, but know that there is little cause for concern about an Ebola outbreak on American soil. The emergency declaration was largely to emphasize the need for global assistance on the ground in the affected countries. Resources and treatment facilities are scarce in these areas, so the WHO is calling on the international community to lend a hand and stop the spread. As I mentioned earlier, in America, an Ebola outbreak is highly unlikely. Our doctors understand the disease and we have the resources and structured system to contain an outbreak, which is why Americans infected in West Africa were brought home. Ebola is very hard to catch and can only be contracted through the exchange of bodily fluids like saliva, blood, or vomit. It’s not airborne nor does it spread from simple skin-to-skin contact. Because there is a general lack of knowledge about Ebola and the word itself garners fear, let a alone the reality that it’s been brought to America (in a controlled environment, though, I must stress), many people are concerned. Marketers know this and they might be targeting you, looking to capitalize on that fear. If you receive e-mails or see news saying that you’re at risk and there is a product available that can reduce your chances of getting Ebola, ignore it. It’s highly unlikely America will experience any domestic-borne cases or an outbreak. If you feel sick, follow the necessary precautions and see your doctor for a checkup. It never hurts to be extra safe when it comes to your health. As for the WHO’s attempts to spread awareness of the need for more supplies, treatment facilities, and health education in areas such as West Africa, if you feel you can lend a helping hand, either through spreading awareness in your community or through a monetary donation, I urge you to do so. Ensuring a long and healthy life for yourself is important, and lending a helping hand to those who may be unable to do so without your support is a great way to spread the wealth. Chritensen, J., “Ebola is Here: 5 Reasons Not to Panic,” CNN web site, August 4, 2014; http://www.cnn.com/2014/08/05/health/ebola-dont-panic/index.html. Doucleff, M., “Ebola Outbreak is a Global Emergency,” NPR web site, August 8, 2014; http://www.npr.org/blogs/goatsandsoda/2014/08/08/338651627/ebola-outbreak-is-a-global-health-emergency-who-says?sc=ipad&f=1128.